Mai Kassab, Egyptian singer and actress, from Moled December 8, 1981 - Tanta, Egypt. Full report on the life story of Mei Kassab, biographical information from Wikipedia and the latest news. Date of birth: 8 December 1981. Place of birth: Tanta, Egypt. Years of work: 2004 - present. 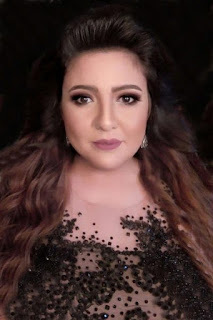 Mai Kassab was born on December 8, 1981 in Tanta, Egypt. She started her singing career in a duet with Syrian singer Majd Al-Qasim. She released her first album in 2005. She released the first album of her name in 2005. She released the album "Ahla El Kalam". She made her first television title in 2006 with Ahmed El Feshawy in the comedy series Tamer & . On 26/01/2015 I married the folk singer Oka.